We work side by side with people day after day. We share the big and small events in our lives. We trade recipes, gossip and the minutiae of our lives on a daily basis. When a co-worker is out, we generally just go about our business and catch up with them when they come back. 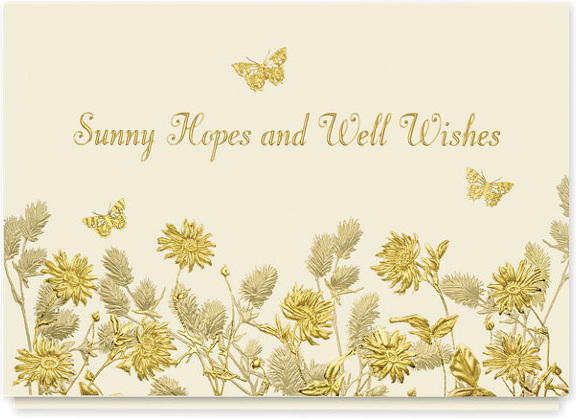 Why not think about sending get well wishes to a co-worker? Think about it. We spend almost as much time with our co-workers as we do with our family. Probably more than with some family members. If we can send a get well card to Aunt Millie, why not to the person who sits across the room, eight hours a day, five days a week. Think how well that will be received by a person who is a little under the weather. You know when you are out of the office you feel like you’re missing something. Maybe you feel a little uncomfortable when you come back. Almost like there’s a broken connection. If you feel this – so do others. The next a co-worker is out for a few days take the time to drop them a get well card. Include a note about what is happening in the office, it it’s only you can’t believe what Fred said now. This will not only bring a smile but it will let them know you care. I have found that buying a few cards and having them ready when needed makes this easier. Think of it as upgrading your office communication skills. I feel a cold coming on – don’t forget me! The people you spend 40 hours a week with become more than coworkers after a short while. It is important to show them that you care during difficult times in their personal lives.